Torn Label Brewing Company has been having a lot of fun with barrels lately. Case in point: Torn Label brewmaster and co-founder Travis Moore has crafted a 15-barrel batch of Barrel-Aged Long Time Comin’ for its 2017 release. However, rather than stick with a single type of barrel, the brewery created unique barrel-aged variants within the batch for this limited release. Long Time Comin’, an imperial stout (11.4-percent ABV), was aged in barrels from local distilleries J. Rieger and Company, Union Horse Distilling Company, Amigoni Urban Winery, and Tom’s Town Distilling Co. Torn Label also aged variants in barrels secured from area partner businesses. A variant exclusive to Lukas Liquors was aged in a Smooth Ambler whiskey barrel, and another for Plaza Liquor spent time in a Knob Creek bourbon barrel. The project began with a rare Knappogue Castle 12 Year Old Single Malt Whiskey barrel provided by Browne’s Irish Marketplace. 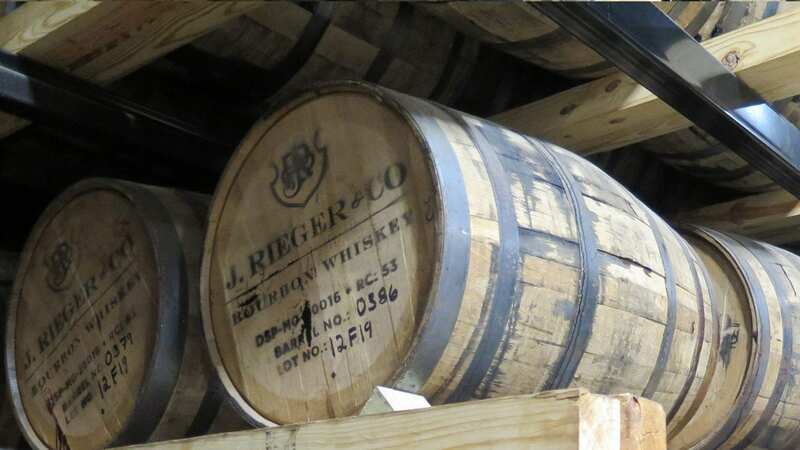 The inaugural version of Barrel-Aged Long Time Comin’ was aged in J. Rieger and Company whiskey barrels. Initially released for the taproom’s first anniversary in early 2016, the beer sold out within hours. Browne’s will host a release party for their portion of the Knappogue version the week of April 10th. Every partner will receive half the amount aged in their particular barrel for their own release. All bottles will feature a distinct neck hanger that distinguishes the particular variant. Bottles will also be wax coated in differentiating colors. Torn Label will host a release party at its taproom for the entire array of 22-oz. bottles beginning at noon on May 27. The Tom’s Town portion of Barrel-Aged Long Time Comin’ will be available on draft as well as in bottles. For craft beer lovers, this festival in Parkville is a spring rite of passage that ushers in the year’s craft beer festival season. The festival takes place at 1 p.m. on Saturday, April 29 at English Landing Park in downtown Parkville. Tickets are $36 online or $45 at the gate. Brewery Emperial’s (1829 Oak) has a pre-Prohibition American Cream Ale in the icehouse. Look for it soon. It was brewed with 20-percent corn mash, Crystal hops, and German lager yeast before being fermented on the high side of lager range and stored cold for four weeks before filtration. Also, the brewery will tap a Maibock (six percent ABV) in May, a traditional German Helles in color and flavor with noble hops, German yeast, low range lager fermentation, and 60-day lagering. 99 Hops House (777 NW Argosy Parkway) has Founder’s KBS on its self-serve beer wall, plus eight new beers on tap. Check Untappd for a complete listing. Now available in six-packs, Boulevard Brewing’s summer seasonal Zon Belgian-style Witbier is its interpretation of the classic style. Zon (Flemish for “sun”) has subtle flavors of coriander and orange peel, which makes it a delightful, refreshing summer beer. Also, Boulevard’s Changeling, a blend of dark sour ales aged in whiskey and wine barrels is out in 750-ml. bottles. Hy-Vee Market Grille (109 N Blue Jay Drive, Liberty, Missouri) will host Martin City Brewing Co. for a tap takeover from 5 to 7 p.m. with brewer Kate Laws and brand ambassador Robb Richmiller in attendance. Radical Candor, Apposite, Banging the Enemy, Hard Way IPA, and Alchemy Coffee Stout will be on tap. Double Shift Brewing (412 E 18th Street) releases Abby Royal Dubbel, an Imperial Sister Abbey (9.2-percent ABV, 18 IBU). Cinder Block Brewery (110 E 18th Avenue, North Kansas City, Missouri) releases Lusus Naturae (Latin for “Freak of Nature”). This farmhouse-style beer is fermented with a blend of wild yeast strains and then transferred to a variety of wine barrels for 12 months. Peach and apricot are added to trigger a secondary fermentation. The beer has a tart dry finish with loads of stone fruit flavor and aroma. Boulevard Tours & Rec Center (2534 Madison Avenue) hosts Hop Quiz! from 5:30 to 7:30 p.m. This trivia game focuses on general topics, pop culture, and beer knowledge. Sign up in advance for $10 and receive two draft beers of your choice. A team can have up to six players and you must be over 21 years old to attend. Barrel-aged Tea Weiss tapping and bottle release at Crane Brewing’s taproom (6515 Railroad Street, Raytown, Missouri), at 4 p.m.
Stockyards Brewing Co. (1600 Genessee Street, #100) celebrates its one-year anniversary over the weekend. They will have a special beer tapping of a seasonal Cerveza Royale, a Mexican-style light lager, and re-tapping throughout the day. DJ Joc Max and Dj Ataxic will be spinning in the taproom from 8 p.m. to midnight. Martin City Brewing Co.’s “Hoppy Hour,” at Bier Station (120 E. Gregory Boulevard) from 4 to 7 p.m. will feature Radical Candor, Banging the Enemy, Hard Way IPA, and Belgian Blond. Stockyards Brewing Co. continues its one-year anniversary celebration with special beer tapping and re-tappings throughout the day. 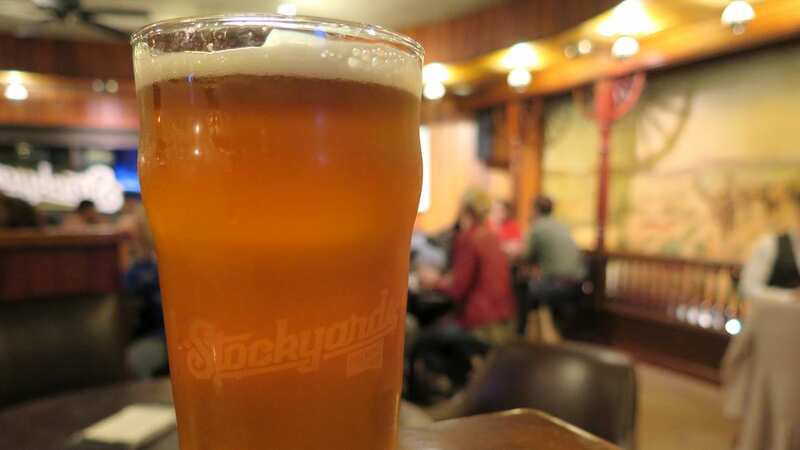 Look for Stockyards Anniversary Ale (7.75 percent ABV, 65 IBU) — a Belgian-style strong pale that was brewed with family grown and malted barleys from Two Track Malting in North Dakota. This strong Belgian ale is a borderline IPA with the bitterness and tropical fruit characteristics of Mosaic and El Dorado hops. The brew was fermented with Belgian candy sugar and a classic Belgian Abbey yeast. They will also hold brewery tours and host the American Fusion food truck from 1 to 5 p.m. Hop down to Flying Saucer Draught Emporium (101 E 13th Street) for Hoppy Easter. Flying Saucer will tap Stillwater Big Bunny, release Stillwater Superhop IPA bottles, and pass around beer-flavored jelly beans. Plus, if you find an Easter egg, then you get a free beer. Held at Boulevard Tours & Rec Center (2534 Madison Avenue), Tap Chef is a head-to-head, three-round competitive beer and food cook off between chefs Josh Eans (Happy Gillis) and Howard Hanna (The Rieger). Both chefs will be given three local ingredients and three Boulevard beers to prepare three dishes for guests. Tickets are $30. — Pete Dulin writes about food trends for Flatland and is the author of the “KC Ale Trail.” Follow @FlatlandKC and #TapList on Twitter for more food news and trends.